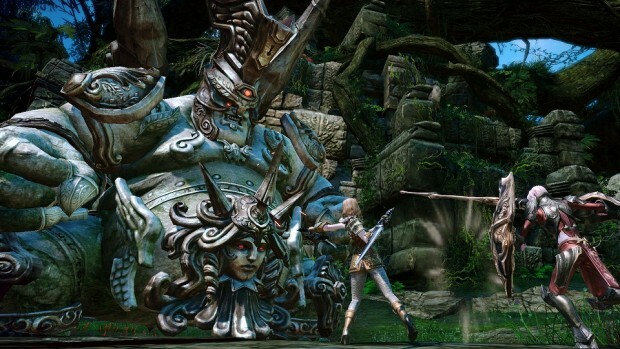 En Masse Entertainment is once again finding itself in a battle with makers of third-party software for TERA. The company issued DMCA takedown notices against various GitHub and Discord communities that promoted such software, which has led to an outcry from the makers of such programs and some members of the greater TERA community. To its credit, EME seems to be doing a somewhat better job of communicating this time around, with an open thread on the forums where players can (respectfully) discuss the topic. The post currently has 47 pages of replies, filled with some players saying TERA was unplayable for them without some way to boost its speed, due to excessively high ping, and others saying the action from EME was justified because rules and all. This time around, at least, there’s no way anyone can plead ignorance regarding EME’s policies regarding third-party programs. At least one maker of the third-party programs wishes the discussion would have come earlier, however. As was the case the last time this topic came up, we received a long email from one of the third-party developers pleading their case and wishing En Masse would have come to them earlier if they wanted things to be shut down. “Should any other region’s publisher wish to shut down my proxy’s compatibility with their services, feel free to contact me,” they said. “There’s no need to take legal action. My intentions are not malicious or evil in any way, in case the publishers and the fanatic anti-proxy people still haven’t realized that.” Our contact claims to have tried contacting EME multiple times to offer help dealing with exploits and also to have never made any money with their programs. Several players are wondering why a few independent programmers can implement fixes that En Masse and Bluehole can’t. While the official statement says that “We will investigate solutions that provide some of the benefits that these 3rd Party Services offered,” it seems that few players are likely to believe them, not after years of waiting for a publisher and developer that seem incapable or unwilling to implement the requested changes. why don you all just quit already, game is the same for over 4 years so far, not even that, game is less that that. they removed sooo much content and didnt add any. The thread would actually have over 50 pages, EME just keeps deleting replies. Before they started deleting the thread had almost 800 replies. Sad how they still keep silencing their players, even if it’s negative criticism their community is mad, they should just swallow up their pride and take it into consideration anyways at this point. This wouldn’t have happened if they hadn’t been silencing players who even mentioned 3rd party programs in the first place. How can they claim to love their community when they wouldn’t even allow them to speak. As a fellow TERA community member, I stand strongly in En Masse’s defense. People using these Illegal Third Party Programs do not need to be personally contacted in order to have an agreement on what programs can and can’t be used. The agreement is in the Terms of Service and the Code of Conduct. If these players disagree with them then stop playing, or be banned. As for the Discord server being removed, this company also does not allow Illegal Third Party Programs to be distributed stated in their Terms of Service. do you know how the dmca works to understand its a false claim its just the 3rd party devs are not going to bother with it and would just let the game die and people see the company for what they are/have become, fyi bhs/ktera gm’s and devs stream while using some of these same 3rd party tools and even implemented changes to their tos to allow them. EnMasse is just the publisher for NA region, they have no power whatsoever in game changes, that falls in responsibility of the developer Bluehole Studio. The game was made by a South Korean studio, for South Korean network infrastructures and performance standards, so they can’t empathize with the other regions where latencies to servers are above 20ms +/- causing skills to perform worse as the ping increases. It is a known issue since the game was released outside South Korea and ever since it has been asked by the player base to the publishers to communicate this to the developer for a fix, without any results. That’s why players with knowledge of coding came up with the proxy solution for this woe. Removing this tool from access to the players who suffer severe latency to the servers (there are only east coast servers in NA) only hurts the player base as a whole. in other words en masse get off your lazy asses and fix your game so other won’t have to do it for you! !